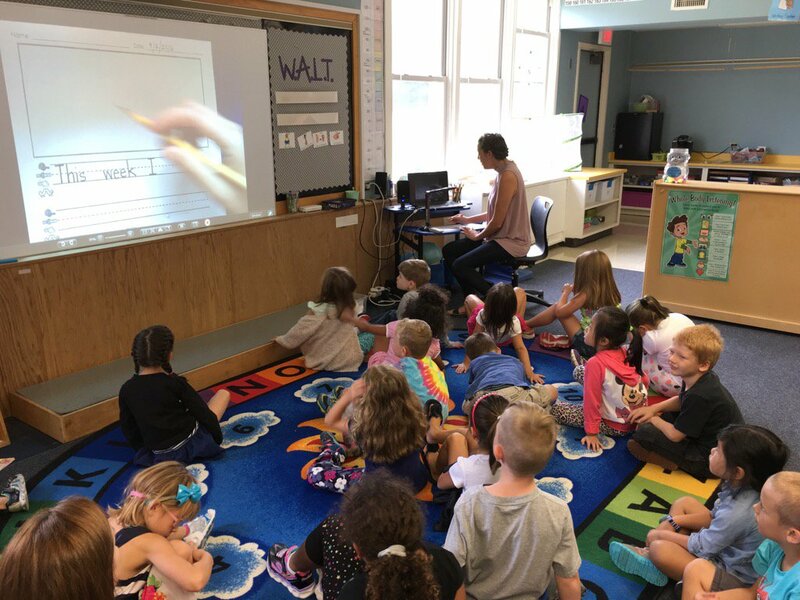 At Porters Point School, the specialized service providers include three consulting teachers, one speech language pathologist, and two Title One reading and math teachers. All students are screened for services based on school-wide data including Fountas and Pinnel reading assessments and Everyday Math assessments. Students may qualify for tier II services, such as Title One services. This is a federally funded program designed to offer extra academic assistance to students to ensure that all students meet the challenging state standards in literacy and math. The goals of Title One include increasing academic achievement, providing direct instructional support to students, and promoting parent education and involvement. Some children do not make sufficient progress in their classroom academics, with the addition of Tier II services. A referral is then made by school personnel or a parent to the EST (Educational Support Team) where a recommendation may be made for additional classroom accommodations and modifications or a comprehensive special education evaluation to determine if a disability exists. The evaluation process will help to document the extent of the impact that the disability has on school-based achievement. Special education guidelines require that a child has a qualifying disability, demonstrates significant adverse effect in one or more basic skill areas, and that there is a need for specialized instruction. Under the Vermont Special Education Rules and Regulations, the state recognizes the following disability categories: Autism Spectrum Disorder, Deaf-Blindness, Emotional Disturbance, Hearing Loss, Intellectual Disability, Multiple Disabilities, Orthopedic Impairment, Other Health Impairment, Specific Learning Disability, Speech or Language Impairment, Traumatic Brain Injury, or Visual Impairment. Parent involvement is an integral part of each Individualized Education Plan (IEP) team. Children in need of specialized instruction receive educational services through an IEP. Porters Point offers a range of service delivery including; small group and 1:1 intervention in and out of class, and academic support by para-educators, special educators and speech language pathologist. Other related service providers are utilized if needed. Service delivery is based on student need and decided upon by the child’s IEP team.